There are thousands of books on leadership; someone once suggested that as many as 500 new titles relating to leadership appear every year and there as many articles in journals and magazines. While all agree leadership is important, the resulting lists of tasks for a leader vary, are endless and may even be contradictory. 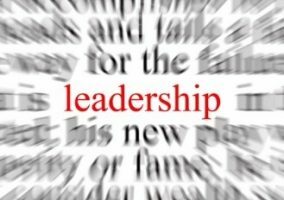 Is a leader a servant, a steward, a general or something else? How can a person identify what is essential to leadership? In the last few years, three tasks have emerged that are pre-eminent and critical: establishing a positive organization culture, leaning into technology and celebrating alternatives. In response to the disclosure of sexual harassment allegations in the past two months, organizations have rushed to include or increase training on what sexual harassment is and how to avoid it or respond to it. Unfortunately, research on this training, and other human relations training in the past, has found that specific training is ineffective if the employees do not believe that the organizational culture supports training recommendations. The leader’s responsibility is to establish that positive organizational culture. Some believe organizational culture is tangible: you can see it and feel it when you walk into a space. How are people working? Is there evidence of teamwork or collaboration? What do signs or workspaces say about the organization? How is information being communicated? Is there evidence that the organization regularly celebrates accomplishments and milestones? Is the goal of the organization evident in what people are doing? The leader, by being a role model and an involved member of the organization, is vital is establishing its culture. When a positive, affirming culture exists, problems like sexual harassment or discrimination are less likely to occur, and are more quickly addressed when they do occur. A leader’s second task is to lean into technology. Government continues to be people-driven, which may be effective or responsive but is less efficient and more expensive than technology-assisted services. Leaders should seek out technology that improves services and reduces redundancy and inefficiency. These need not be major, expensive and long-term programs. Social media, once consider taboo for government, has become an important way to communicate to the public, and to assess public attitudes (albeit in an informal and non-rigorous manner). Governments should be on the leading edge, not the trailing edge, of technological means of engaging citizens. A leader should look for technology innovations that can be adapted to a public service environment. A field trip to Amazon may be the kick starter for generating ideas for faster, better service. A leader’s third task is to celebrate alternatives. Uber and Lyft have changed how we think about taxis. Independent bookstores now provide alternatives to big box or online bookstores, and they are thriving. In every workplace there are people with ideas – ideas that some may consider crazy, but ideas that bring forward alternative ways of thinking about and doing the work of public service. Trusting people, allowing them to voice their ideas and perhaps even allowing them time and space to further define and test those ideas, not only reinforces a positive culture but uncovers new solutions to ongoing problems. It focuses on what the organization does, not who is doing it. It increases employee commitment to the organization and its purposes. Organizations are bombarded with opportunities; organizations that seize them can become more innovative, more responsive and stronger. Positive organizational cultures, technological ventures and the celebration and reinforcement of individual efforts and alternatives lead to organizations that are leaner and more efficient and effective, and that are places that support both employees and clients/citizens. Leadership is not about putting all the pieces in place and keeping them there. It is not about a checklist of tasks and attributes that an individual must have. It is, rather, about identifying priorities and creating an almost-chaotic, energized and joyous place that reflects the best of the American spirit and the American dream.